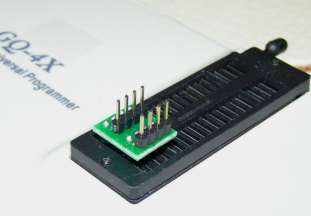 This DIP 8 pin header adapter can be used on any programmer. 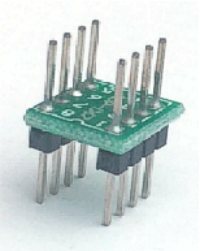 It is designed for easier connection from a programmer ZIF socket.This adapter can be used for in-circuit-programming of any 8 pin devices.This adapter can be used on GQ-3x, GQ-4X and any other programmer. Example of application: AVRISP programming from GQ-4X, JTAG programming from GQ-4X, 24CXX,93CXX,25XXX in circuit programming on GQ-3X, GQ-4X and all other programmers have ZIF socket.